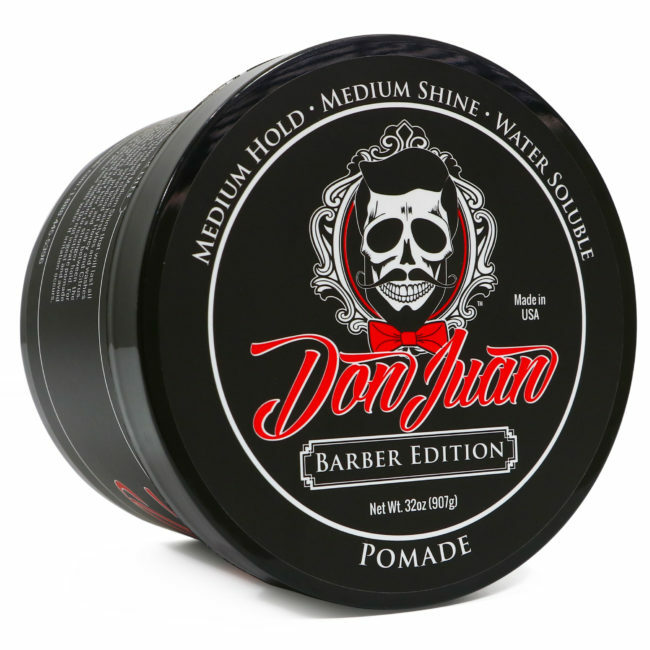 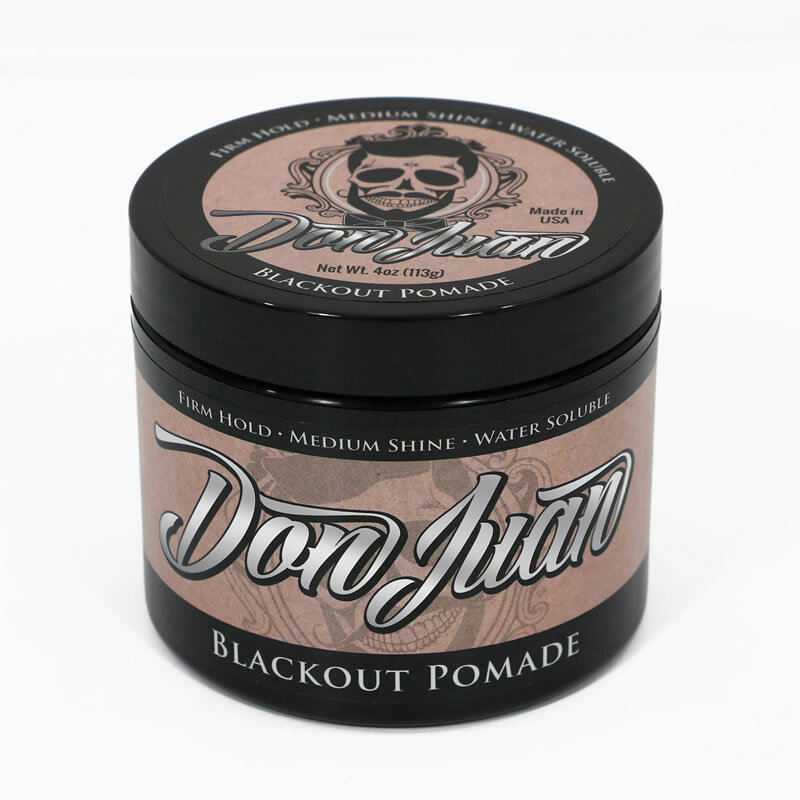 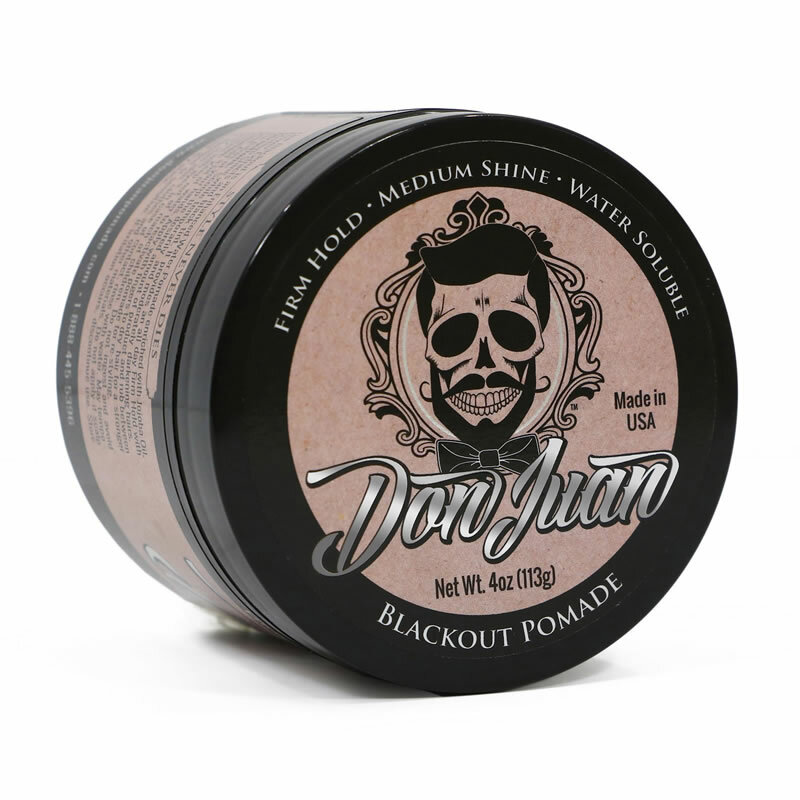 Our Blackout is an Enhanced Water Pomade enriched with Jojoba Oil, Flower Extracts, and black tint. 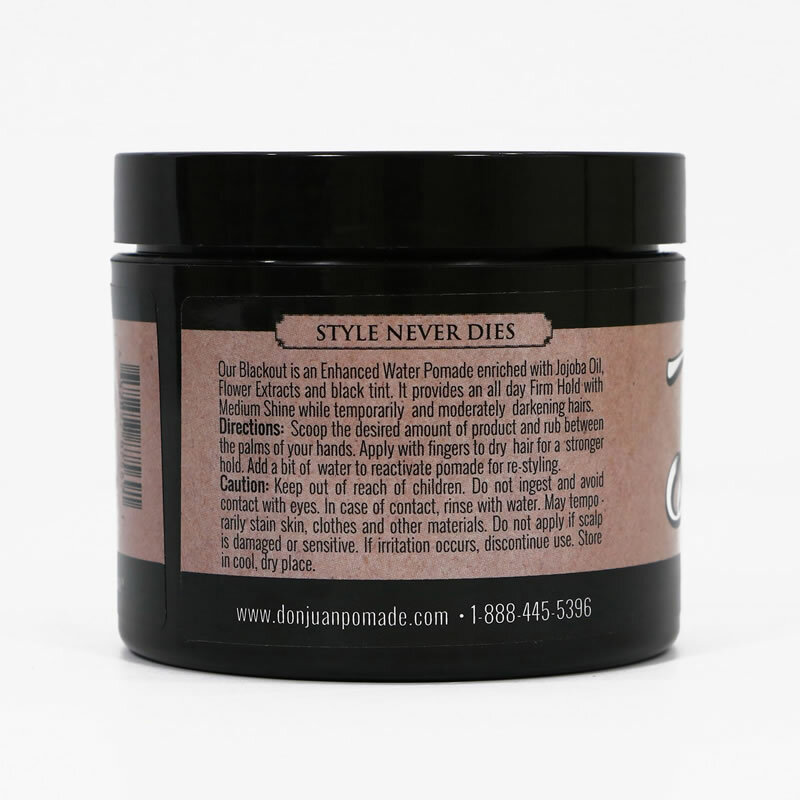 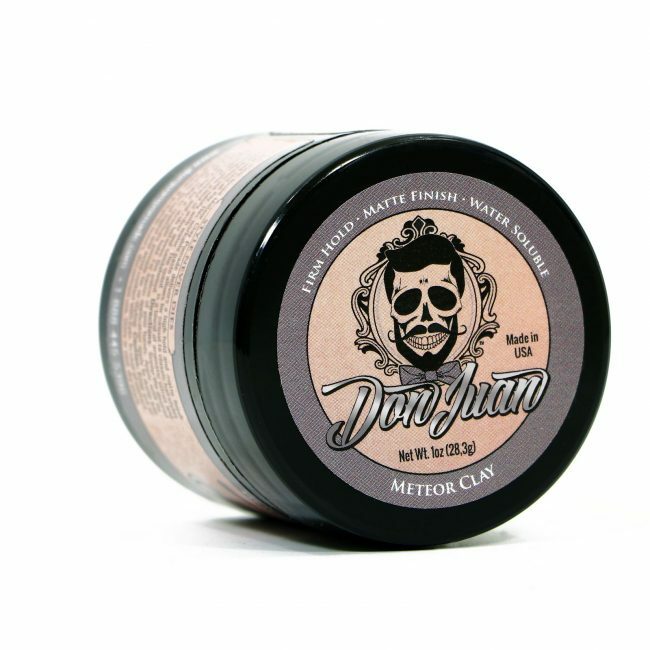 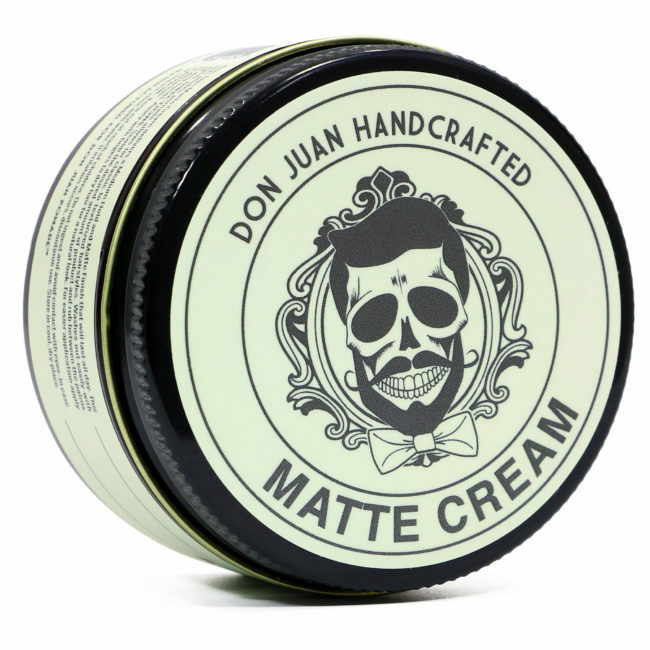 It provides an all day Firm Hold with Medium Shine while temporarily and moderately darkening hair. 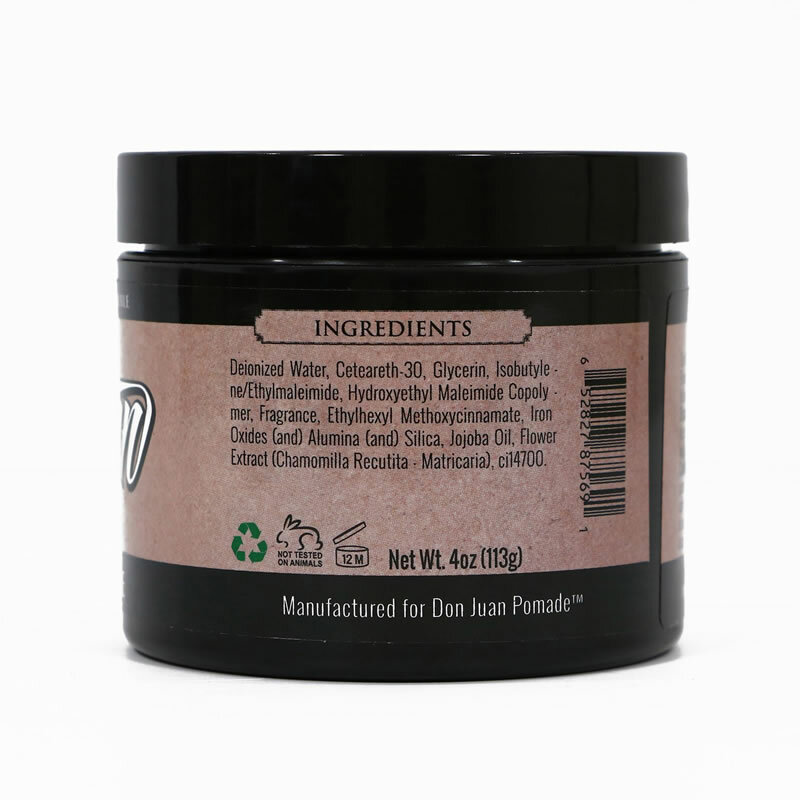 Contains ingredients that temporarily color hair. May stain clothing and bedding. Great product and like the way my hair looks.